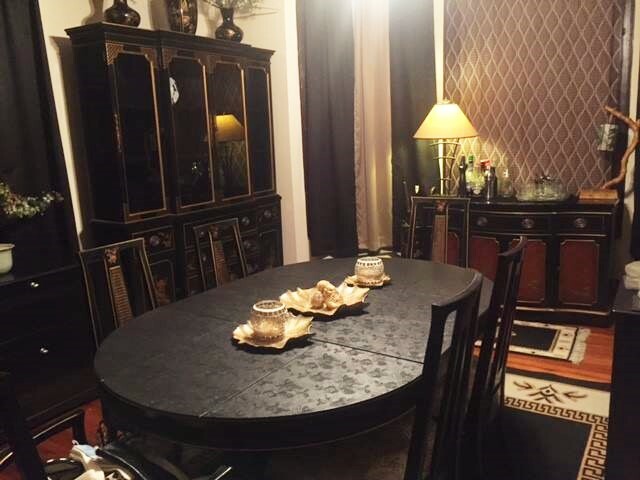 Another happy customer bought an entire dining set at a sale we did in Livingston! After making the decision to move out of state and downsize, we unexpectedly sold our house in one weekend with a 30-day close. Thankfully, the BHM flyer was in our realtor's packet, and we met with Jill immediately. She was professional, warm, patient, and straightforward as we discussed the best strategy for selling the contents of our home - we signed on immediately. Working with Jill and her team is a wonderful experience - she is easy to talk to, quick to respond, and thoughtful with her advice and answers. As she and her team prepared for the sale, we found that they were efficient, friendly, and showed a genuine interest in learning about and taking care of our belongings. 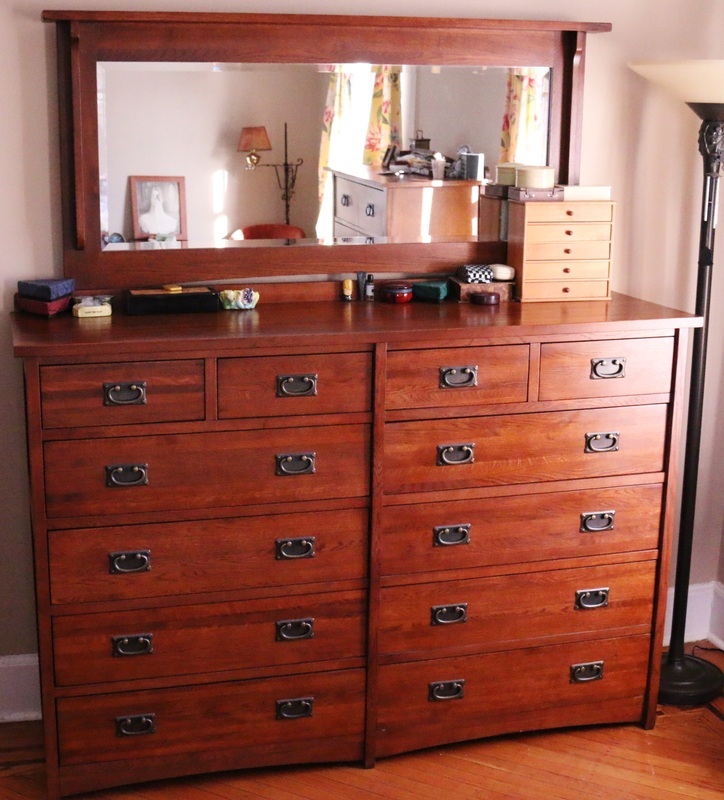 They priced and organized everything from large pieces of furniture down to office supplies! Jill's word is as good as gold, literally. While prepping for the estate sale of my father’s house in West Orange, her staff came across a couple of buckets filled with some kind of unusual scrap metal. They took it to a refinery for tests. It was 99.9% pure gold, a lot of it, for which they got top dollar. They could have sold it behind our backs, and we would have never known because we had no idea it was even in the house. We are extremely grateful to Jill and her staff for doing an outstanding job during the sale and cleanup, and, of course, for their astonishing honesty. Jill had me at "hello"! She arrived promptly on a stormy Saturday morning to check out the items I was planning to sell, and to let me know what her company could do for me to facilitate the move I was planning to make. Her presentation was precise, and concise, and I immediately felt confident that she was up to the task. She patiently answered all my questions, and explained how I was to prepare for the sale. I hired her on the spot, never bothering to interview anyone else. In spite of some very poor weather, the sale went well, better than expected. What impressed me further was her follow-up. After the sale, she provided further assistance for the few items that didn't sell! I would not hesitate to recommend Jill, as well as her staff, to friends, business associates and clients. 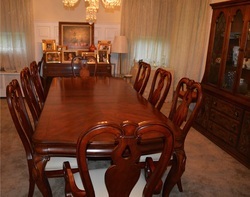 As a client I want to thank you for being the person that handled my estate sale at my home in South Orange. You did so much better then I thought we would do. You where so professional. You organized every thing so quickly and you sold everything. I made so much more then I thought I'd do. You ran the sale quickly without one problem. I recommended you to a friend and you ran her sale recently and she was so happy with your service as well. I would recommend you to anyone as far as I am concerned you are the best in the business and treat your clients fairly. This is a story of a woman who was drowning in STUFF. Antique stuff, kitchen stuff, bedroom stuff, big stuff, little stuff, all kinds of stuff. Then she found Bargain Hunter Mama. They came in and did all the research on the stuff and moved the stuff so people could see it and they had two estate sales for this woman. I am that woman and thanks to them am no longer drowning in stuff but received a very nice check for the proceeds. This story has a very happy ending as you can see. The moral is….. call Bargain Hunter Mama for the best price, care, and research of your precious (and not so precious) stuff and you too will be very happy with the outcome. They also have resources to market your things in the most appropriate way. They do all the advertising and it is a big load off your shoulders to have everything taken care of. we didn't even realize were marketable. 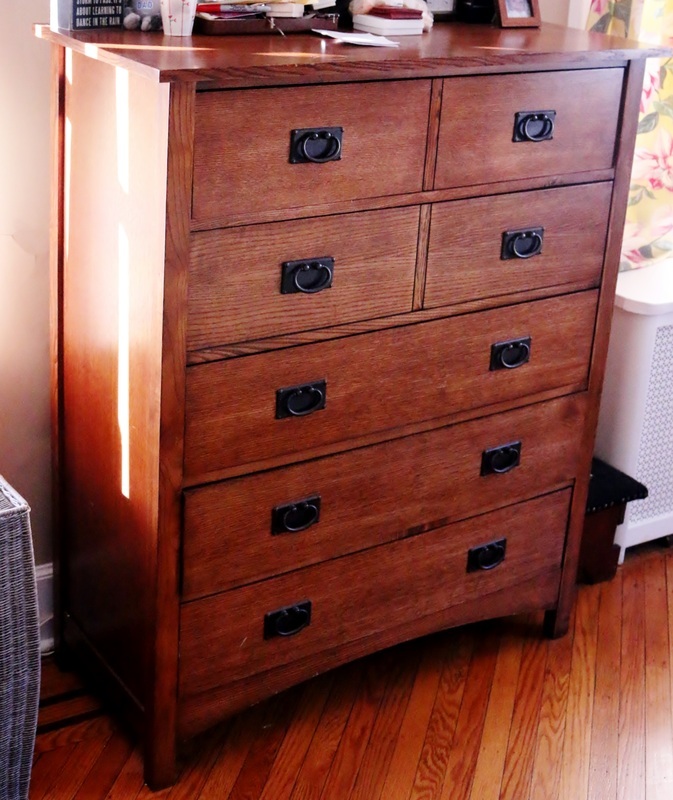 I was about to throw out/donate an enormous amount of items when we moved from our house. BHM swooped in, set up a sale and made us lot's of money. Thanks, BHM! I have used Bargain Hunter Mama Estate Sales and would like to recommend them highly. The team came in like gangbusters, organized and priced everything I had collected for the sale. They were fast, efficient and fun to work with. After the sale was over, they cleaned up and put the unsold stuff out to be collected. Photos of some big unsold items were put on their website. I made money and didn't have to run the sale myself. When one is confronted with the task of selling one's childhood home and contents, it is overwhelming and heartrending. My sister and I needed to sell our dad's house after his death. Unexpectedly, the house sold in one day. There was a timeline that had to be followed. Both of us were taken aback by the amount of items that needed to be organized, assessed, evaluated, dispersed, and donated. We knew we needed help. From my hometown in Tampa, I researched estate sale companies. I called Bargain Hunter Mama and Jill immediately returned my call. She answered my questions and arranged to meet me in West Orange. From the very beginning, I was impressed by her compassion and professionalism. Jill took her time to answer all of my questions and also arranged to meet with my sister at a later date. I must be honest and tell you that I did contact two other companies. Obviously, we chose to work with Jill. From the start, I never had cause to doubt her honesty and her sincere desire to help us in any way. I would recommend BargainHunterMama to anyone who is looking for a company that has integrity, compassion, and the knowledge to help you get through what is a trying time on one's life. It was a pleasure working with you on the estate sales for 301 and 302 Montclair Ave. Your professional help was truly appreciated. I always felt I could trust you and you were always very reliable. Thanks again. My wife and I closed on our house in Maplewood in June to move into a villa in Winchester Gardens which had less than half of the floor space as our home. Thus we had a lot of furniture and many other items that we did not have room for. Jill checked them out and advised that there was not enough for an estate sale by themselves, but that she could merge what we had with another home in South Orange to make a viable sale grouping. We agreed and transported our items to the SO location and held the 2 day sale which drew 300 buyers. She sold 97% of our items netting us just under $1000. We enjoyed working with her and were delighted with the result. One of our regular customers was so happy with his purchases he sent us pictures. 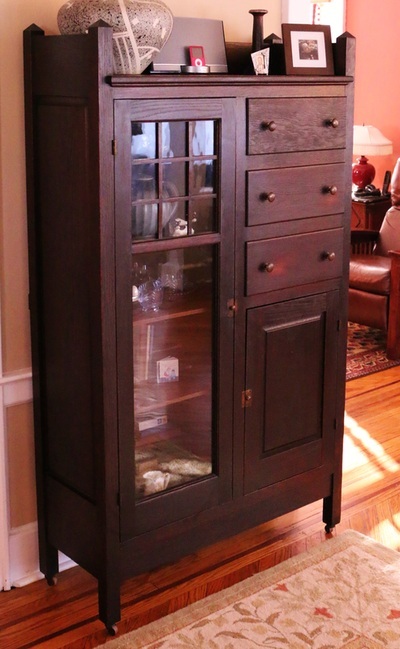 The items were bought at one of our South Orange estate sale and from a Montclair estate sale. More testimonials can be found on Google.com! Amazing!!! The girls went over and beyond; even selling my stuff on their sites after the sale was over. So happy. You and your staff did a fabulous job, including researching the value of items and giving solid advice. All in all, you made what could have been a very emotional experience much easier. Thank you. The service was wonderful. The staff was delightful and professional. Any apprehension I initially felt about an estate sale was immediately alleviated once I met the staff. I recommend Bargain Hunter Mama without reservation. I was made aware of Jill at Bargain Hunter Mama by my realtor. I only had a limited amount of time to clear out my 5-bedroom house before the quick closing our buyer had requested. Since we were moving to a 2 bedroom apartment we had a lot of stuff to get rid of!! I literally did not have to lift a finger to get the house ready for the sale and Jill was truly accommodating in the quick window of time we had to work with. My only regret is that I said I would handle the items left after the sale, don't make my mistake - have Jill handle that too!!! for linens to be brought to an animal shelter to be used for bedding and helped me tie up books to be given to a charity. She did the advertising and staged the items for sale. I found her very efficient, professional, and trustworthy; and she was able to sell much more than I thought possible. I would highly recommend Jill Mendelsohn, Bargain Hunter Mama to assist in any kind of house sale, or even help with a pre-sale cleanout. When my boyfriend and I decided to combine our respective households (six kids between us! ), we found ourselves in a lovely new house so packed with the contents of each of our former homes that we couldn’t even unpack properly—we had duplicates of most everything, furniture that didn’t work well together, stuff from our former lives that we needed to let go of, plus an abundance of the kind of stuff that we simply had no use for (toys the kids had outgrown, books that we no longer needed to keep). everything in the house goes. In our case, there were lots of items we wanted to keep, which made pricing and displaying our stuff complicated. The women who spent several days organizing it all were pleasant, patient, professional, and prompt. Ultimately, our sale went off without a hitch. Afterwards, the leftovers were packed up on the porch to be picked up by a charity organization, within a few days we received both an itemized list of everything we’d sold and a check, and now we’ve got room to breathe and a tidy little profit to put toward a fresh start in our new house, with our new family. Whatever type of home sale you may be planning, I would highly recommend Bargain Hunter Mama. I can’t imagine that our own experience could have gone any smoother.